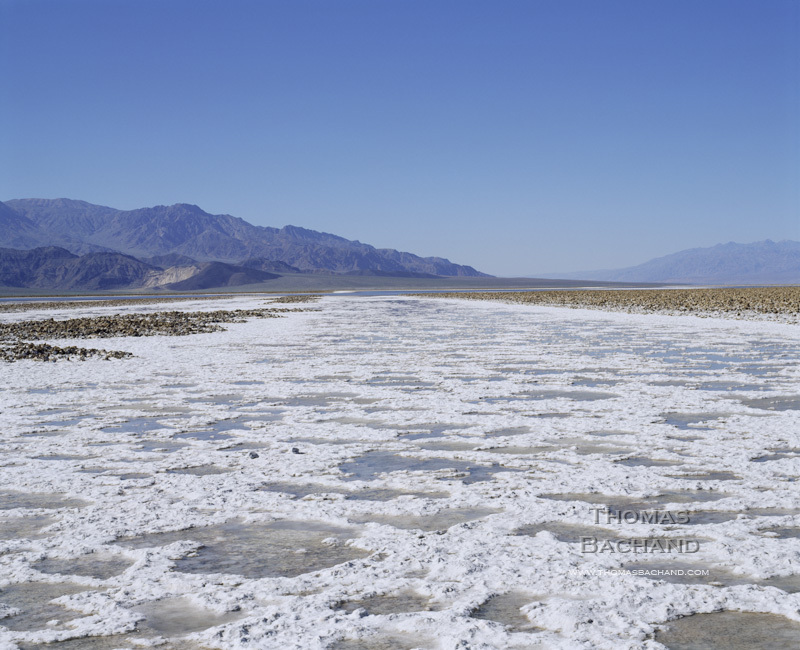 Badwater Salt Formations. Death Valley National Park, California. 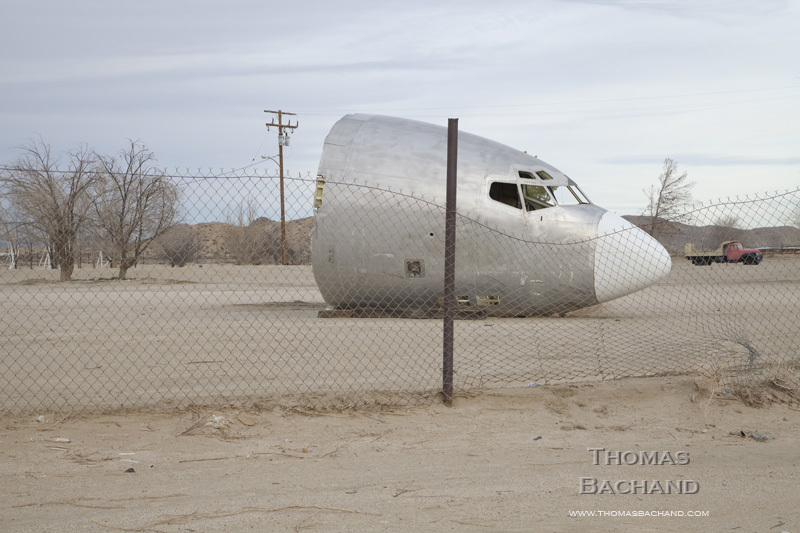 This work is part of my long term study of the California desert regions. 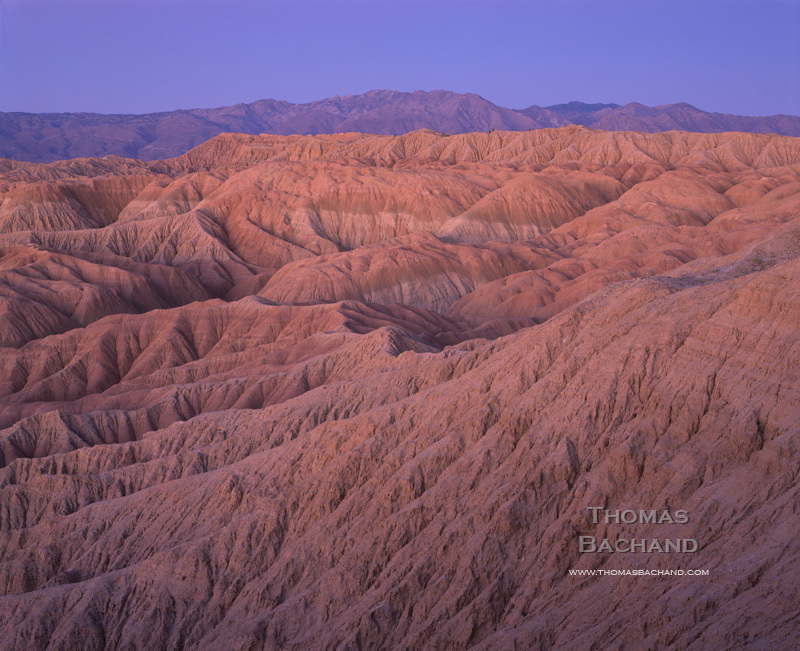 For more, visit Desert California. In Crossings, the controversial delivery of tar sands oil to Port Arthur, Texas is examined at ground level through the dispassionate eye of Google Street View, the automated documentarian of our nation’s roadways. The 180° diptychs compiled here are composed of opposing camera views from each intersection between the Keystone XL pipeline corridor and the roving camera. This is a historical moment, captured incidentally, accessible for a year or so, and then deleted from the record at the next passing of the camera. 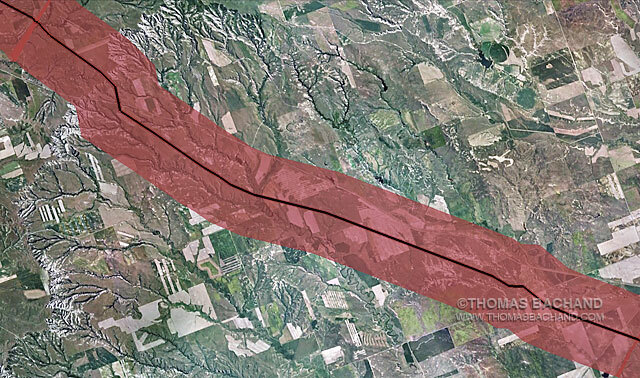 Underlying this work are the Keystone Mapping Project’s custom maps — the only publicly available interactive maps of the proposed Keystone XL pipeline. With over 150,000 visitors, the KMP website has been and invaluable resource to communities, landowners, journalists, researchers, nonprofits, and other stakeholders. For more on this series, visit Crossings and the Keystone Mapping Project. Forming the basis of my Voluntary Evacuation Zone (VEZ) grid abstract series are aerial imagery and custom mapping features drawn from my Keystone Mapping Project (KMP) and its Keystone XL Google Earth view. The Keystone XL VEZ is based on the health department response to a diluted bitumen spill in Michigan’s Kalamazoo River. This photographic series is an exploration of both our perception of, and impact upon, the landscape. Each panel examines the interplay of physical and human geography, revealing broader patterns and larger questions. Underlying this work are the KMP’s custom maps — the only publicly available interactive maps of the proposed Keystone XL pipeline. With over 150,000 visitors, the KMP website has been and invaluable resource to communities, landowners, journalists, researchers, nonprofits, and other stakeholders. In November of 2015, President Obama denied the cross-Canadian-border permit for the northern segment of the Keystone XL, effectively waylaying construction and splitting the difference with industry on the entire pipeline after fast-tracking the southern leg from Cushing Oklahoma to Texas Gulf Coast refineries in 2012. A week after December’s UN COP climate conference in Paris, the President signed a budget bill which contained measures lifting the 40-year-old US oil export ban and limiting environmental review of new petroleum pipelines to six months (for more visit the KMP blog). TransCanada has vowed to revive the Keystone XL at a later date. It should be noted that the Keystone XL environmental review process has taken over five years and the Department of State (DoS) has yet to release the supporting mapping data required to evaluate the DoS’ own environmental impact reports. The Keystone Mapping Project’s route data is drawn from alternative sources. 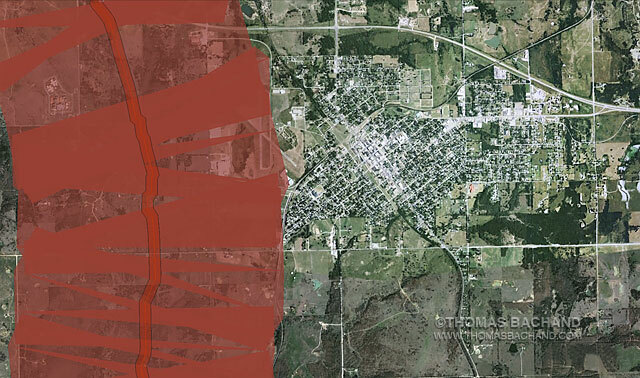 For more on this series, visit the Voluntary Evacuation Zone Series and the Keystone Mapping Project website. Voluntary Evacuation Zone. Holdenville, Oklahoma. Badlands. Anza Borrego State Park. 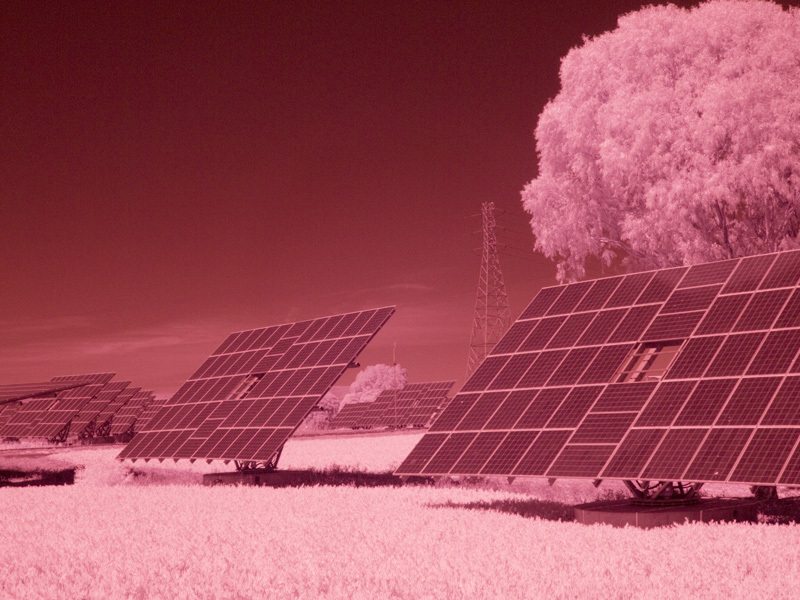 Visit my commercial photography portfolio. Buildings & Bushes. 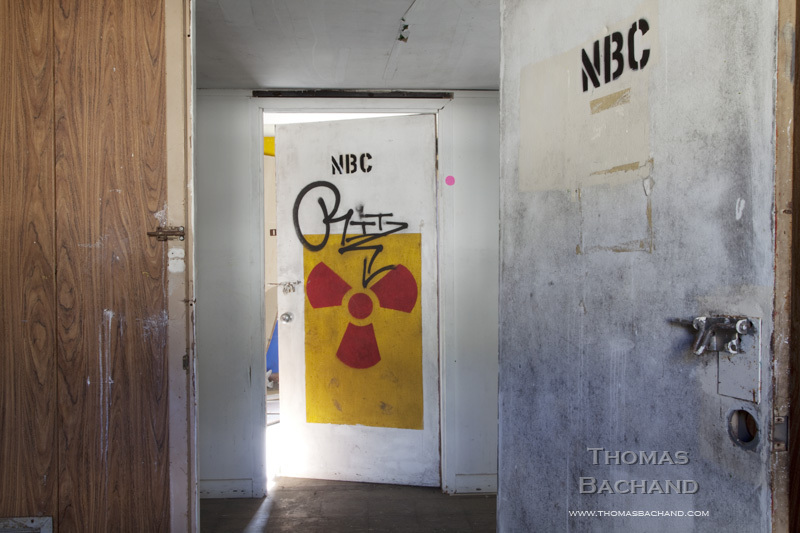 Former Fort Ord Army Base. This work is part of my examination of the California coast. For more, visit California Coast. Nuclear research. 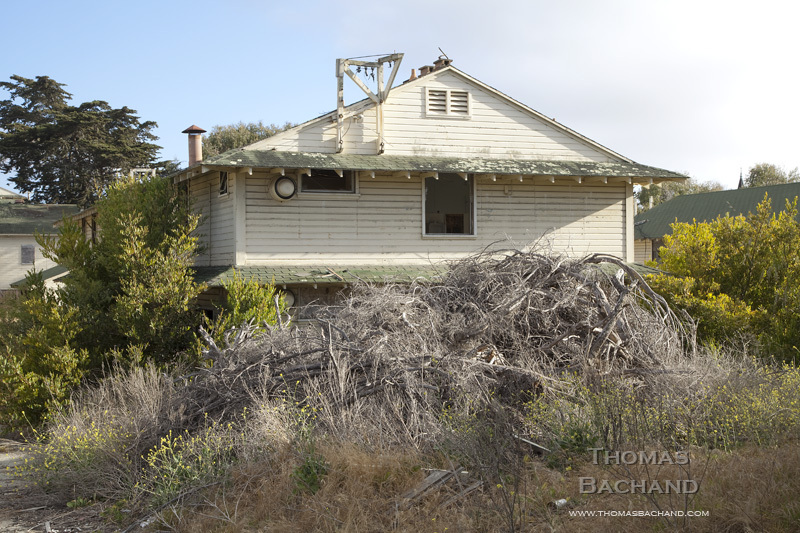 Former Fort Ord Army Base. As the sole juror for the Managed Landscapes exhibit as Vermont Photo Space, I recently made my final selections and selected Janet Pritchard’s “Buffalo on Road in Lamar Valley” as the Juror’s Choice. The exhibit is now open. The submissions were inspiring and insightful. After careful consideration, I first selected those images that struck me on an emotional level, and then culled further based on technical execution and the photographer’s intent. The strongest photographs spoke to the subject on many levels. The Juror’s Choice, “Buffalo on Road in Lamar Valley”, took my breath away. The power of this photograph lies as much with that which is unseen as seen. 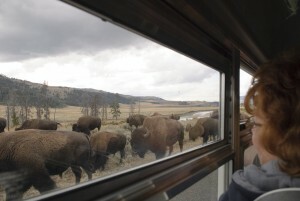 The bison are unaware that the land has been “saved” and placed on display. We look out from behind glass at a pristine landscape detached from its history. Visit the Vermont Photo Space website to view the final sections online.